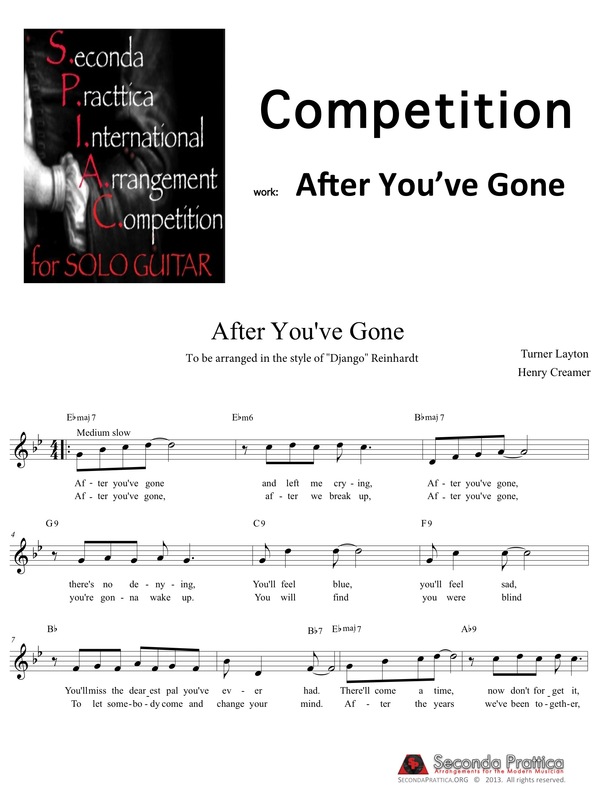 As SP.org continues to grow and become the preeminent online PDF-only publisher, we are pleased to announce the 1st International Arrangement Competition for Solo Guitar. SP.org is pleased to announce that it is working with international recording artist, composer, arranger, and performing artist Roland Dyens to create an arranging competition relevant to the 21st century. The Great Lakes Guitar Society (GLGS) will be host to the 2014 Guitar Festival at Buffalo State College, which will include the Inaugural International Arrangement Competition for Solo Guitar (S.P.I.A.C). 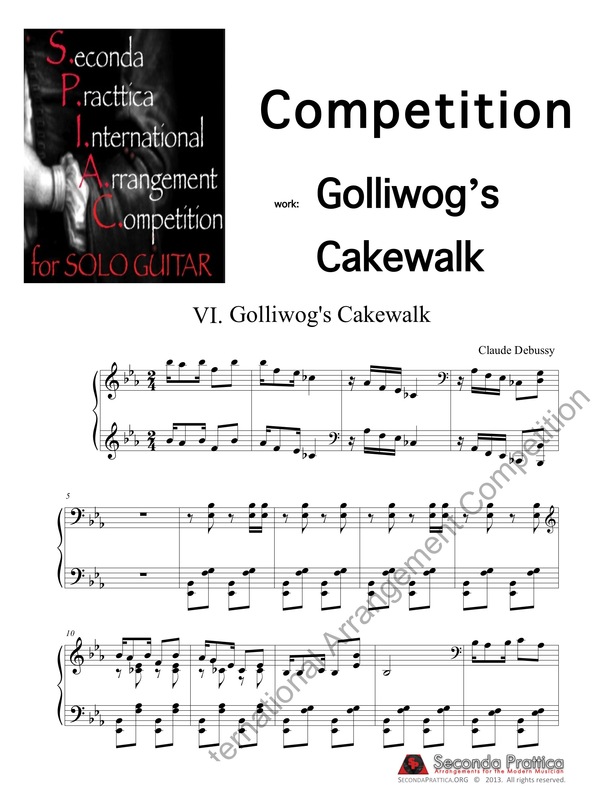 Following in the tradition of the classical and romantic eras, the objective of this competition is to inspire new arrangements to be created at the highest possible artistic levels for the classical guitar. In the 21st century, the composer/performer most associated with the gold standard of arrangements is Roland Dyens, who is internationally recognized as advancing the art of arranging to the highest level the guitar has seen to date. Following in the footsteps of the past greats such as Francisco Tarrega, Miguel Llobet, and Emilio Pujol, Roland Dyens has had a profound impact on the guitar repertoire and has personally birthed the idea of the arrangement competition to promote and advance this vital musical genre. The Pujol Award arrangement will be published by Seconda Prattica. The top prizes may be selected from any combination of the three music categories (jazz, folk and classical). Depending on the assessed quality of the submissions, the judging panel will reserve the right to not present a particular prize (1st, 2nd or 3rd). During the festival, the public performances of all nine arrangements selected for the final round will be broadcast worldwide, live on the internet. Each of the three judges will review the submitted scores and select their top three in each of the three competition categories, resulting in nine total selections made by each judge, reducing the total submissions to the selected twenty-seven. After reviewing and grading all twenty-seven selected scores, the judges will meet online or in person (August 1-3) and vote to select nine arrangements, three for each category, to be performed at the festival on September 13, 2014. For the first time, the actual names of the arrangers will then be revealed. When the nine scores have been selected (three from each category), the names of the arrangers will be posted on the SecondaPractica.org website. Application Fee: Please Download (purchase) your desired work from the REQUIRED SELECTIONS below - simply ADD TO CART and check out. Your purchase will constitute compliance and acceptance to the SPIAC Competition. You will receive an editable file of the selected work in .MUS and .XML to aid you. 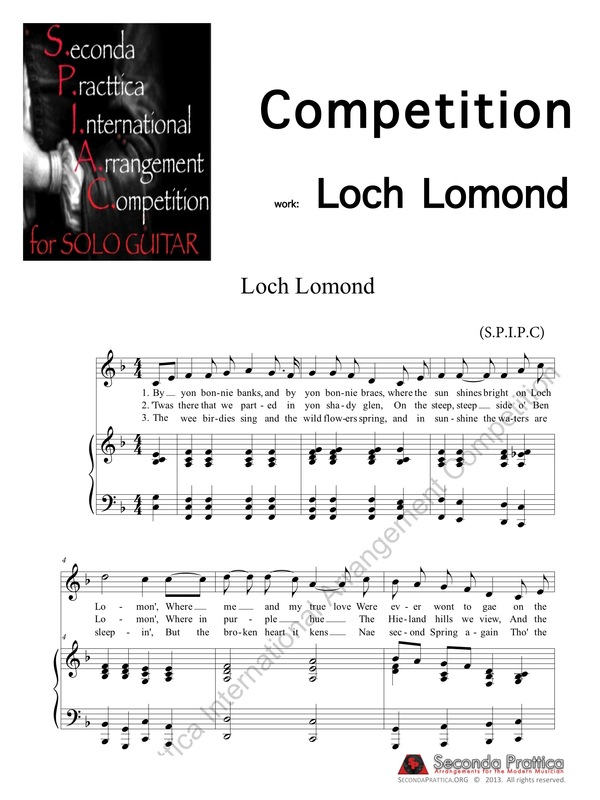 Your score to be reviewed for submission (pdf format only): When your arrangement is ready, please upload a PDF of your digital score through the Publish With Us form, no hand written scores will be accepted. It goes without saying that your arrangement must be original and yours without infringement of copyright laws. Should you need help digitizing your score please feel free to contact us. Your purchase will constitute compliance and acceptance to the prelinary round of the SPIAC for Solo Guitar Competition.